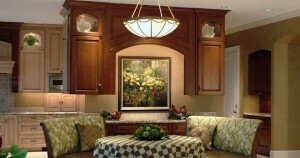 Anita is an expert at color consulting and putting together a master plan for interior colors on your walls. Need fabrics, flooring, countertops, window coverings, or other interior finishes in home remodels or residential new construction? Those colors can synchronize so they will portray the image you desire and give you the feeling that will make your life enjoyable. The color you are surrounded by in your everyday life, makes a huge impact on how you feel. Interior wall paint colors for your home or workplace should reflect who you are, or the image you choose to portray to others. Many people are afraid of color. We offer you expertise in analyzing the colors you currently have in your home and after a color analysis we take into consideration your color likes and dislikes to bring together a interior color master plan that is totally tailored to your personal desires. Because we design for people, not for our own image, our design portfolio contains a big variety of projects. Some paint color schemes have very vivid colors that flow throughout the home, to very light color pallets that clients enjoy. 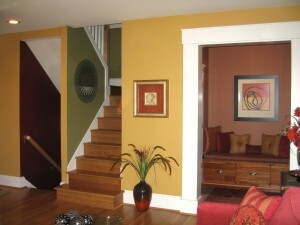 We visit your home to see what existing interior paint, wood and furniture colors you have and may want to work around. 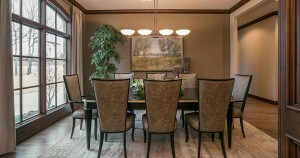 We have larger boards with the paint colors and bring them into your space. This allows you not only to visualize how the color will look on a larger scale, but also view how those interior wall paint colors will affect you in every lighting scenario throughout the day. This has proven very effective and gives the clients the confidence they need to bring about beautiful changes in their life’s environment.